Apologies to the sensible readers who aren't obsessed by sport, but I have to get this off my chest. What on earth are Manchester City doing if they are seriously thinking of sacking Sven? (Here.) Despite the tail-end blip, this has been the best ever season for City in the premiership. But then remember that this is a club that sacked Tony Book after City finished 2nd and then 4th in what was then Division 1 back in the late 1970s, and then Peter Reid after two successive 5th place finishes. Both interventions led to a period of instablity and ultimately relegation. While the current craziness seems to be initiated solely by Thaskin, who must be naive, badly advised or both, we're talking about a club with a history for self-destructive behaviour. Good to see two English teams in the final of the champions' league. I was hoping Liverpool would progress at the expense of Chelsea tonight, because then I could cheer for them in the final. Now I may be put in the uncomfortable position of having to cheer for UTD, which as a City fan will be quite hard. But I admire what they've done this season. Two Alentejo wines to report on. I follow Portuguese wine quite closely - it's a country I was switched onto in the mid/late-1990s when Fiona bought me a surprise bottle from Bentalls wine department - an Alentejo red from Cartuxa. It was complex, more-ish and really caught my imagination. The two regions with the lion's share of top Portuguese wines are the Douro and the Alentejo, but they're quite different places for growing wine grapes. The Douro, in the north, is reliant on short-ish hot summers and schistous soils, with proximity to the river and altitude (as it's a valley, the two are quite closely correlated), as well as aspect, as the important factors for shaping the wines' personalities. The Alentejo is in the sunny south, and here we have sun-baked plains, resuling in wines in more of a new-world sort of style. Of course, there's more to it than this, but in general the Alentejo wines are riper and more accessible than the Douro wines. Red is king in both - although some nice whites are being made also, they're second fiddle to the red wines. 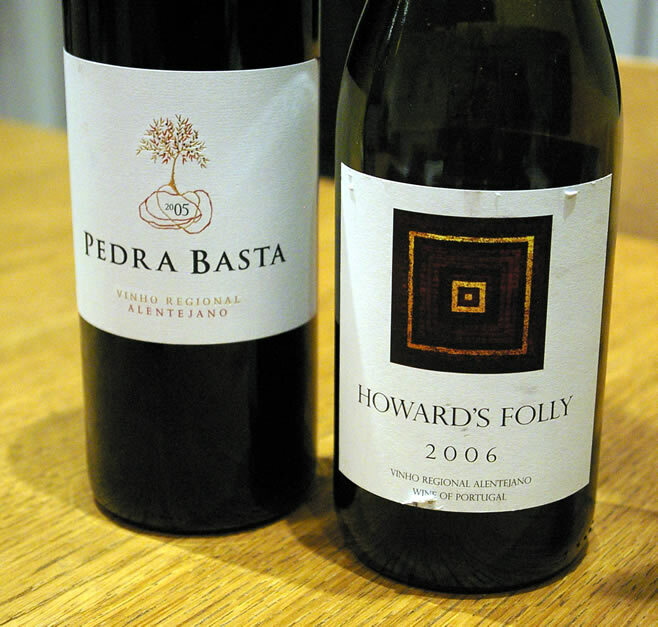 The two Alentejo wines here show distinct personalities. The first is tighter and more savoury; the second more forward and sweet. Both are very good and are worth the asking price. Which you prefer may well be a question of personal stylistic preference. Some more 2005 Bordeaux in the tasting line-up. Even at this level, I reckon some of the wines really need some time before they are broached. 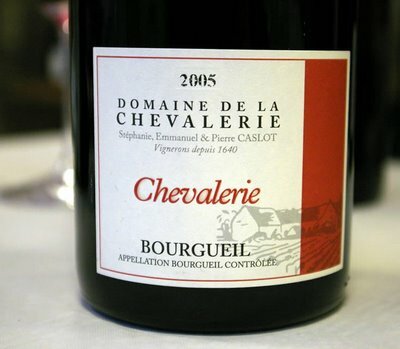 2005 was a high tannin, high alcohol, even high acid vintage which means that opening the wines now doesn't necessarily maximize their potential for enjoyment. I haven't finished yet - more 05s to come! In 2005 some Cabernet Franc found its way into the Calvet Reserve blend, and this is a sample of it. Smells a bit funky (as tank samples often do, with some oxidation) on the nose, but the palate shows lovely dense, tight, ripe red fruit character with lovely firm structure. 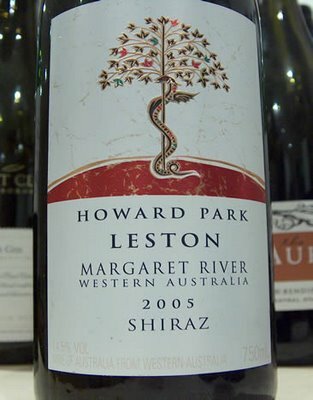 Pretty good stuff, and a bit of a shame to see it in a bigger blend – it’s a really nice wine in its own right. Spent the morning catching up with paperwork, doing some much-needed invoicing, before dodging the showers heading into town. I then headed for a 'Green Spain' tasting, featuring the wines of Northwest Spain - lots of Albarinos, and they were really impressive. The tasting itself was just perfect in a practical sense, too, with self-pour, plenty of space, lots of spitoons, an ideal room and not too many tasters. 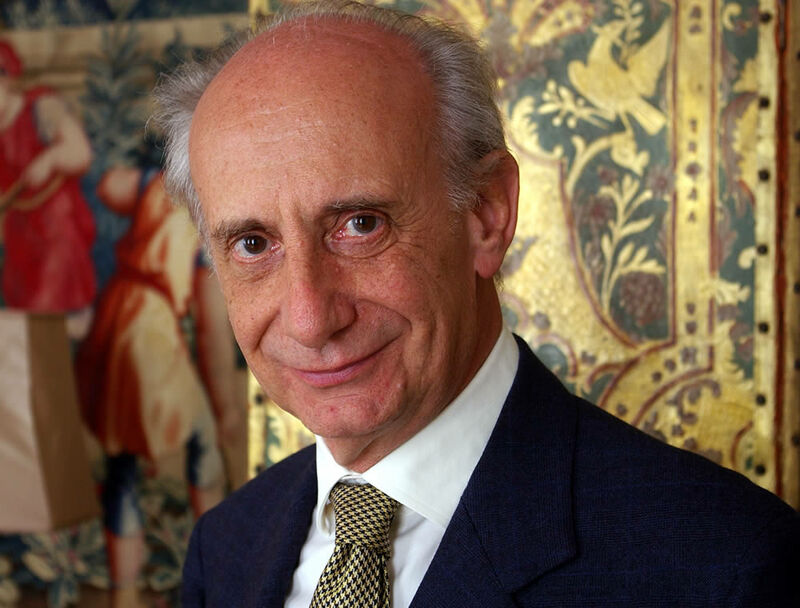 Then I was off to the Italian Embassy to interview Leonardo Frescobaldi, of the Tuscan wine dynasty (pictured). Things were running a bit late, and so my interview was a little hurried, but it was still worthwhile. Unfortunately, I couldn't stay for the tutored vertical tasting of Luce. That's life. One of the things I'd like to focus on over the next 12-18 months is deepening my knowledge of Italian wine. Italy makes so many different wines, but in the UK we're so France-centric that they don't get their due. Of course, Italy is frighteningly inconsistent, but which old world wine-producing countries aren't? And, in general, Italy - like Spain - is badly covered by the media. 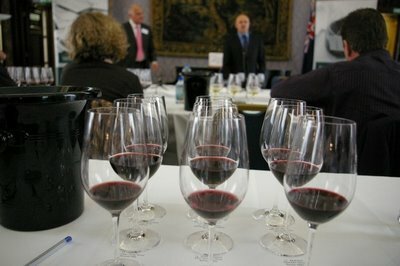 Remarkable tasting today, titled 'Landmark Australia', held by Wine Australia at Australia House in the Strand. Despite an encounter with a doorman who lacked any people skills whatsoever (I was strongly ticked off for being early), it was a fantastic event. The idea was to showcase Australia's 'proud and exceptional history of fine wine'. There's one thing you have to admire the Aussies for, and that's their self-belief. When this comes to wine this is exemplified by their show system, where judgements are made with a degree of certainty and confidence that worries me slightly. Still, the show system has undoubtedly helped in the pursuit of quality (or, at least, a self-sustaining Aussie-centric perception of quality), even though it may have stifled innovation to a degree in the past. Michael Hill-Smith led the tasting, in conjunction with Paul Henry of Wine Australia. [Hill-Smith comes across as a smart but rather bullish Aussie; I suspect you wouldn't want to disagree with him.] The first part was a sit-down tasting with 17 specially chosen wines, showcasing the best of Australia's fine wine offering. Afterwards, we were treated to a further 26 wines on self-pour, with a long lunch where we got a chance to drink any of these 43 wines that took our fancy. I came away really enthused by many of the wines. There were lots of really stunning bottles, one after the other. 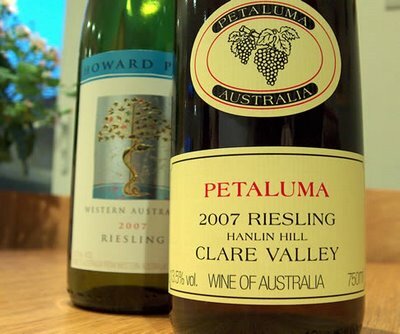 In fact, I was taken by surprise: I follow Aussie wine quite closely, and I guess this familiarity had made me forget just how good the best wines are. 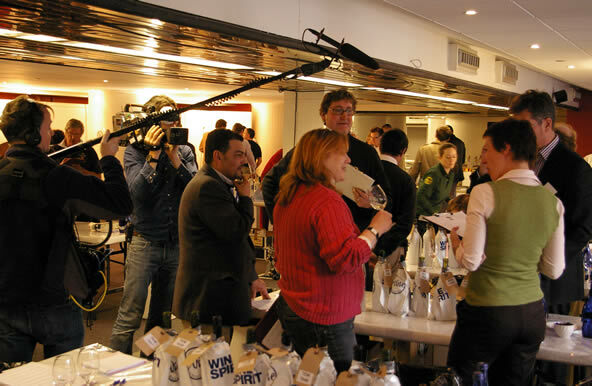 It was also great to be able to drink as well as taste - it gives you a bit more of a chance to get to know the wines. Three more Bordeaux wines from the 2005 vintage. Solidly made and good value for money, I reckon - at least, by the usual Bordeaux standards. The future of wine writing? Mike Steinberger, a US wine writer who I rate highly, has just written a piece for the excellent World of Fine Wine titled 'Everyone a critic: the future of wine writing'. It's a good article, and for the time being at least is available as a free pdf on the WOFW website. Whaddya think? Cheap Bordeaux can be nasty. 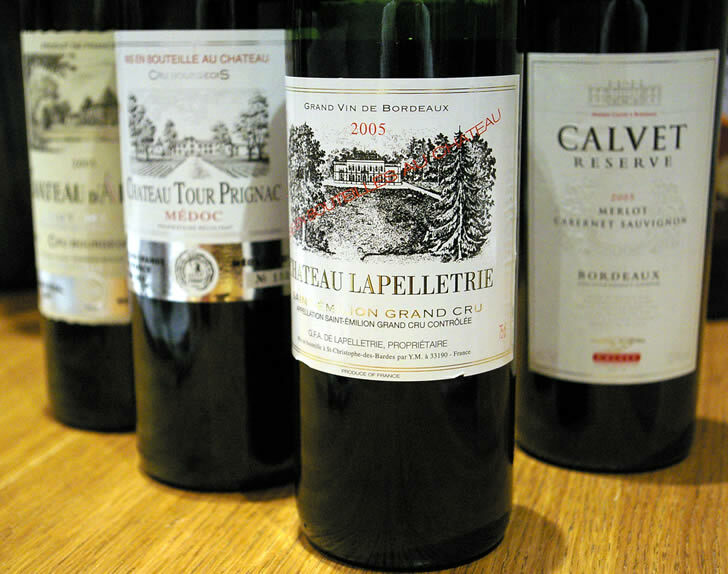 While the top wines, from the finest terroirs, are sought after by collectors and command increasingly high prices, the rest – and the majority – of Bordeaux vineyards struggle in the modern marketplace, which is increasingly fussy about quality. The problem is that you need really good sites to ripen the two Cabernets and Merlot properly in the average Bordeaux vintage. If producers are making wine from lesser vineyards, and in particular if they are greedy with their yields, the result can be rather thin, green, ungenerous wines that lack charm and consumer appeal. Get it right, though, and there are few regions that can make such digestible, classic red wines with moderate alcohol and food compatibility. 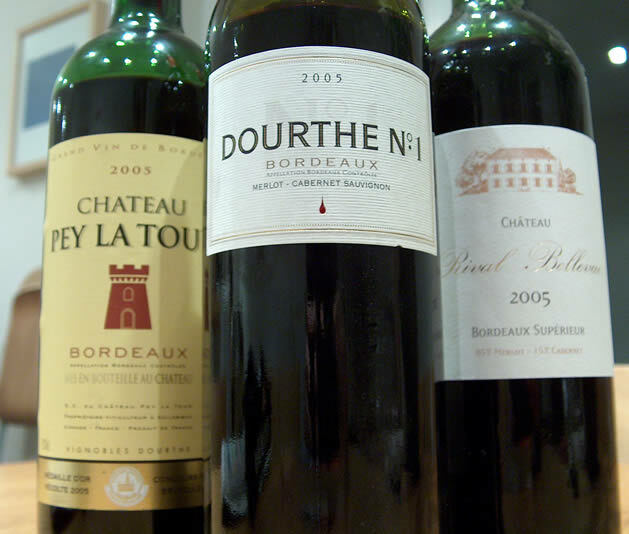 2005 has universally been acknowledged to be an exceptional Bordeaux vintage. Theoretically, less famous producers and the negociants should do a better job this vintage. 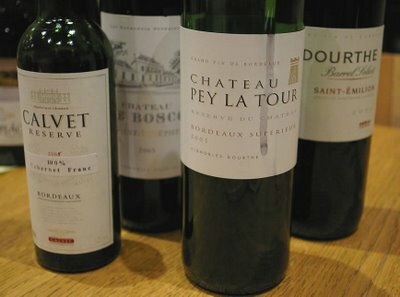 So tonight I cracked four bottles of affordable (by Bordeaux standards) 2005 clarets to see how they matched up. My impressions are below, and I have more to follow. As a side issue, it’s interesting to consider what the future will be for non-classed growth claret. Château or brands? One of these wines is a brand; the other very clearly are selling as Château wines, with old fashioned labels featuring an engraving of an extremely big house, and black, gold and red as colours. What is the way forward for Bordeaux as a region? A full day of tasting today - the final day of the International Wine Challenge (although there's a further trophy tasting day next week). Once again, I was with a fun, competent team of tasters. We worked hard, and were the last to finish - an extra flight of Sicilian reds had been found hiding behind a fire extinguisher, so we did the honours. Which makes 65 wines, which isn't too tough on its own. But if you want to do a proper job you probably end up tasting all the wines twice, or even more, in consultation with your fellow judges. The surprise flight of the day was the second bunch of Californian Zinfandels. Now I hate Zinfandel, which is a rubbish grape. But these four wines were all excellent, and I gave them all gold medals. My team were also impressed, although not quite as impressed as me - I think we ended up golding a couple and giving the others silver. Another day's tasting at the International Wine Challenge. After a short day on Tuesday where we were finished mid-afternoon, the last two days have been quite hard work - we've been going full throttle until 4.30 pm. I know it sounds a bit effete when you explain to people that you've been tasting wine all day, but it requires a lot of concentration and stamina. Yes, really! This week the goal has been to re-taste the wines that we selected last week as being potentially medal-worthy. In our panels of four, five or six tasters we look at the wines carefully, in short flights of up to eight, and decide what medal to give each one, if indeed they really deserve a medal at all. Leading a panel of tasters is quite a sensitive task. Everyone has their own opinions, and sometimes these opinions differ quite markedly. 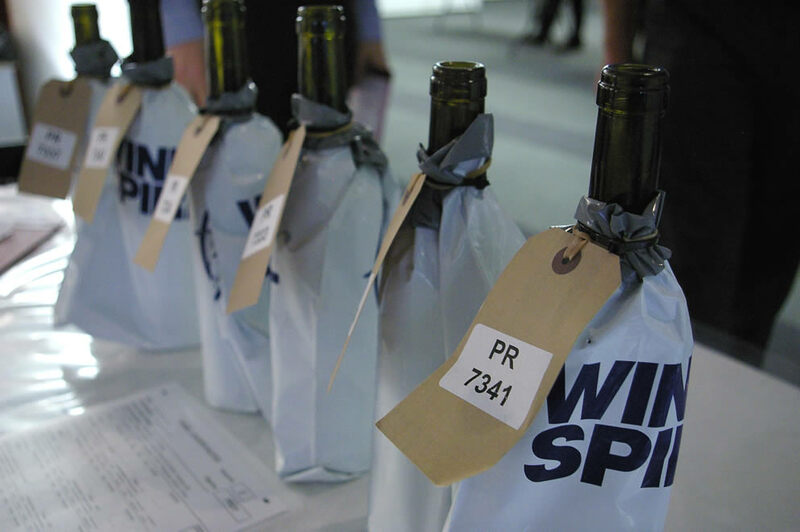 Rather than simply average out all the scores, which would lead to massive clustering, with almost all wines getting bronze medals, I'm on the lookout for potential gold and silver medal winners. If just some of the panel think a wine is worth a gold, then we'll take another look at the wine with a view to seeing whether we can agree to raise our scores a bit - as long as the wine justifies it, of course. Our panel today managed to dish out half a dozen gold medals, and I think the wines that were thus awarded were all fantastic. That's after awarding no gold medals on the previous two days. The wines getting silver were all pretty smart, too. For some reason, we had a lot of Portuguese wines today, which I enjoyed. We started with some lovely Nuits-St-Georges and finished with some cracking liqueur Muscats. I do need to mention the organization of the challenge, and the behind-the-scenes team. They've delivered a flawless performance. Each team works on two tables, and while we're judging one flight, the previous flight is cleared away and the next is laid out, so that there are always wines waiting to be tasted. If a bottle is faulty, a replacement is quickly found - no easy feat when there are 10 000 different wines in the competition. The flights have also varied nicely, with white fights interspersing red to keep our palates fresh. Lunches are also excellent. One side of the room takes a 12.15 lunch; the other has the 13.15 slot. You desperately want to have a 12.15 lunch, or else the morning becomes a very long session! Just one more day to go of the regular judging, and then the trophy tasting next Wednesday. It has been fun being involved in this competition. It's been a while since I did any of my low-rent, amateur film and TV critic slots. 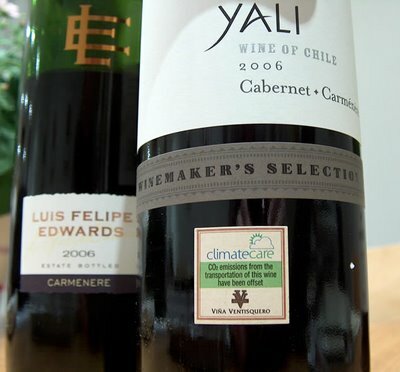 Time to amend that, while tasting a full-throttle Chilean wine that has a whiff of petroleum products about it. Most odd. No country for old men is the Coen brothers' celebrated adaptation of Cormac McCarthy's novel, and it's a gripping film, with a dollop of Ethan and Joel's quirkiness wrapped around a dominant core of ruthless violence. The secret of the film's success is an awesome performance by Javier Bardem as a menacing psychopathic hitman, who relentlessly pursues his targets with a complete lack of empathy and a scary singlemindedness. He's the sort of dude you really, really wouldn't want to have on your tail. Not a perfect film, but a very good one. Cast note: Kelly MacDonald, a Glasweigan, plays the wife of the main lead - she was really good in the excellent political drama series 'State of Play', a few years ago, and also Richard Curtis' 'Girl in the cafe'. Killing time on a recent long-haul flight, I really enjoyed Before the devil knows you're dead. It's a brilliantly constructed film with a disjointed chronology, where part of the story is told backwards - we start two-thirds through, then track back to the build-up, and then look at the repercussions. It's hard to describe what happens without plot-busting, so I won't try, other than to say that the theme here is a severely dysfunctional family who end up comitting crimes against each other, on a number of levels. Philip Seymour Hoffman stars, from among a star-studded cast, with another brilliant performance. Notably directed by octagenarian Sidney Lumet. Another film with a disjointed chronology that I also enjoyed quite a bit is Michael Clayton, a conspiracy thriller starring George Clooney as a legal fixer who runs into some trouble. Clooney is brilliant, but for me the most interesting performance is by Brit Tom Wilkinson as Arthur, a crazy lawyer who's flying solo and needs to be brought in. Tilda Swinton also puts in a strong performance in a film that keeps you gripped until the rather cheesily tidy (but still satisfying) ending. What about TV? Well, I was pleased to see Gavin and Stacey do well in the BAFTAs, because it's brilliantly done and surprisingly addictive. Rob Brydon is a comic genius, too. And, rather guiltily, I confess that we've also been watching the BBC's Apprentice, which despite appearing horridly staged (they seemed to have recruited candidates solely on their ability to make good car-crash TV), is a bit addictive. When I can, I'm also trying to keep up with the brilliant Mad Men. Tasting at the IWC today, where the rather congenial panel I was on awarded many silvers, even more bronzes, but no gold medals. We didn't even come close to gold, alas, although I found one wine that I rated as gold in the last flight of the day. It was a stunning Cotes du Rhone Villages that was modern-styled, with dense fruit, but a lovely freshness, too. My panel thought it was 'jammy', but I reckon 'jammy' should be used to describe wines that have over-ripe, cloying fruit, with no life in it. Maybe they're afraid of fruit when it's this vibrant and exuberant - but this is a wine that I think had more to it than just fruit. While I was at the IWC I picked up a copy of the excellent Wine and Spirit magazine. It grabbed my attention, because the front cover story is 'Revenge of the nerds: how the internet transformed wine'. 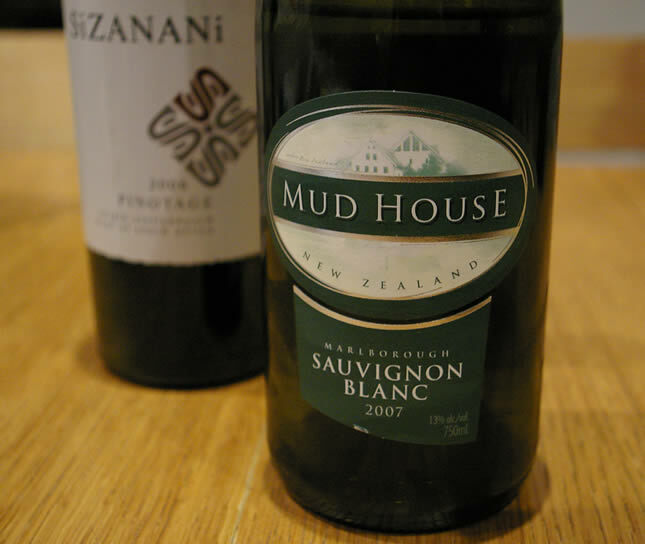 It contains two articles on the internet wine scene, the first concentrating on internet-based retailers, and the second on wine bloggers ('Blogging a dead horse', by Claire Hu). Claire's piece is a good one. I'm happy to be quoted, mostly accurately (although she says, incorrectly, that I decided to go full time on my site after being made redundant from my day job - in fact, I'd say about one-quarter of my time is spent on my site - the rest is spent writing for other people and working on projects on a freelance basis). I also feel slightly that she pulled the bits out of our conversation that supported the agenda she had for her piece, which is that the wine blogging world is open to corruption, and that people taking money to review certain products is a big threat to the independence of wine bloggers. I'm hesitant to say this, lest it give the impression that I think Claire's piece isn't good. I think it is good, and she has done her research properly, and given a good summary of the state of play of wine blogging. But from my perspective, I think the wine blogging community is quite 'pure' in the sense that people are saying what they think rather than answering to advertisers, or even more sinister commercial concerns. She states that, 'At great risk to himself (imagine hundreds of wine nerds descending on your home), Charles Short of cluelessaboutwine.co.uk, has decided to lift the lid on what he sees as the hijacking of editorial integrity of wine blogs. "You have a lot of wine companies asking if you can write about products for £15 or £50", he says.' Considering Clive's site has an Alexa ranking (for what it is worth) of just shy of 5 million, I assume he's referring to other wine sites that have been approached in this way. I certainly haven't been approached by anyone offering payment for reviews - I'd be interested to know if any of the other wine bloggers with a decent readership have been. If they have, then I take this back. But the way I'm quoted, it makes me sound like I'm losing sleep over the issue of editorial integrity on wine blogs, which I'm not. But where I'm very happy with the way my views are depicted is in the penultimate paragraph. Yes, I think blogs are a useful communication tool. But I still think there's a place for magazines and books - and an important one at that. Back to wine. Tonight I'm drinking a lovely Argentinean wine, from the Bonarda grape, which we don't see a lot of, even though there's a lot of it planted there (only recently has Malbec overtaken it). It's a complicated grape to get a handle on: some people think it's the same as Charbono in California; it was brought to Argentina from Italy in the 19th century, but its Italian origins aren't clear. 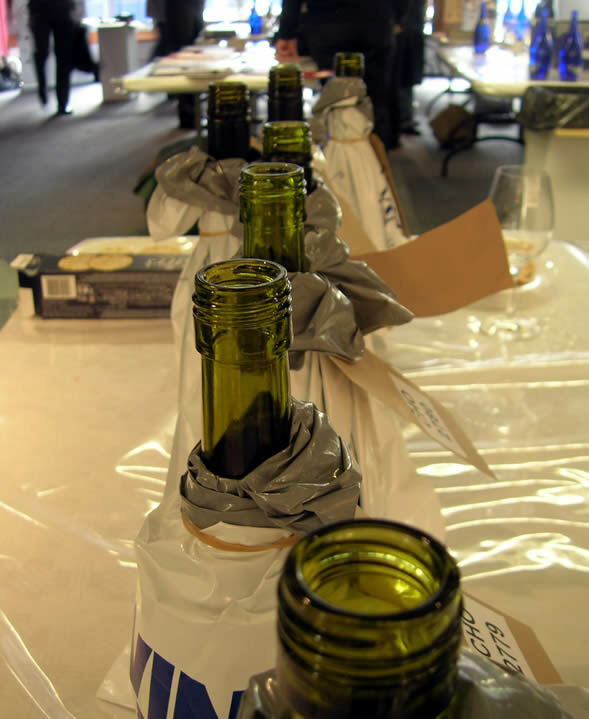 Tomorrow I begin the second week of judging at the International Wine Challenge (IWC). This is the bit where we take a second look at the wines that survived the first week, to decide on medals. Here's a behind the scenes perspective of the IWC, from Colin, who is one of the highly professional team that make the whole competition work. 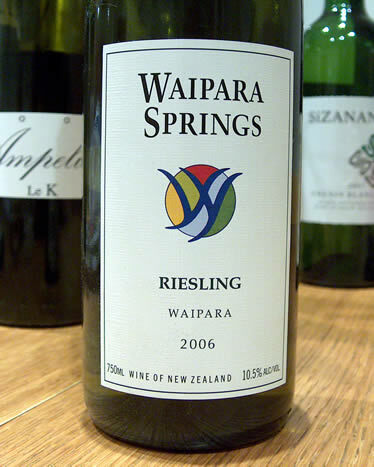 Really impressed with this off-dry, delicate Riesling from New Zealand. A great weekend, and New Zealand's top Sauvignon Blanc? So, Fiona and I were given a nice present by our good friends Karl and Kate. The deal was they would get to look after our lovely children and RTL for the weekend; we would get to go to a five star hotel in London at their expense. Very generous of them, especially if you've met our children and hound. We kicked off our 30-ish hours of liberation by a long lunch at the Tate Britain. The food here is solidly good - simple and effective, with a modern-British feel. The wine list is sensational and fairly priced. The surroundings are nice, too. I struck gold ordering the wines: a bottle of 2006 Clos Henri Sauvignon Blanc from Marlborough (£29), and a half of Crozes Hermitage Vieilles Vignes 2005 from Domaine du Murinais (£12). The Clos Henri was simply the best Marlborough Sauvignon I've ever tried - big, multidimensional, rich but precise. The Murinais Crozes was all that you could ever expect from a modestly expensive Syrah - pure, sweet fruit with lovely definition and an almost Burgundian elegance. No hint of rusticity. We wandered the gallery a bit. Turner is the dominant force here - and you can understand why, because his work is remarkable. Afterwards we headed off to the hotel (Renaissance Chancery Court, Holborn) where we slobbed out, with the help of some Pol Roger NV. Then this morning we got up late before finding a fantastic breakfast spot a short walk away from the Charing Cross Road. Now we are home, and the kids and RTL shall shortly be returning. It's been a brilliant weekend. You'd think after a week of tasting some 500 wines, I'd be running away from the stuff. Aversion therapy, I think they call it. Two prejudices to face head-on, tonight. First, that Marlborough Sauvignon Blanc is dull and predictable. Second, that all Pinotage is vile, filthsome stuff. Both prejudices prove to be ill-founded, on this occasion at least. Finished the first week of the International Wine Challenge (IWC). It has been less physically demanding on my palate that I'd anticipated, although I am physically very tired. The last couple of days the panels I've been tasting with have been excellent. It has been fun, with some healthy disagreement, but the relatively painless reaching of consensus. The constant rotation of flights from white to red, and from old world to new, keeps your palate quite fresh. The lunches are also excellent. The Coopers beer at the end of the day goes down very easily. Usually, a day's solid tasting leaves me pretty tired and looking forward to an early night. But last night I went out for a curry in Teddington with some friends to celebrate the 40th birthday of a buddy, Rob, who happens also to be a Man City fan. It was a great evening, with modest excess and some good banter. We finished off with everyone ribbing me for my self-belief. It stems from the fact that I made a bet on new year's eve that by the end of the year I'd be down to a single-figure golf handicap. At the time I genuinely believed this was achievable, if I played often enough (i.e. most days) and had a few lessons. Now I realize it's merely a theoretical possibility. Last night I threw in two more theoretical wagers. The first was that if I played as a striker with a top premiership team, I'd score at least one goal in a whole season. The second was that if I played a full test series and bowled at least 20 overs per innings, I'd get at least one wicket. They all howled with laughter. Next week we have Monday off, but then it's back to the IWC for the second round of judging. 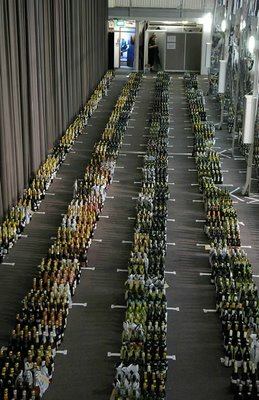 Pictured are the massed bottles waiting to be assessed. The International Wine Challenge (IWC) is held in the Barbican. It's a remarkable construction, built on a site that had been bombed out in WWII, which then remained undeveloped for two decades, before plans were made for a residential development in the late 1950s. The design was approved in 1959, and the building work began in 1963, continuing through into the next decade. It's a striking sight, with the main feature being three rather tall towers. The rough concrete used to build the estate is pretty ugly, and there's a rather industrial, dirty, ugly feel to the whole place. 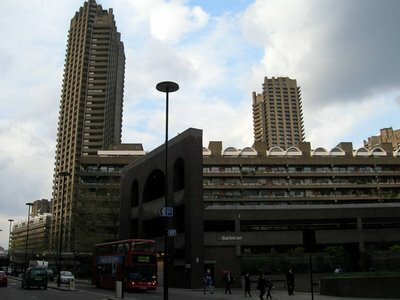 But I guess, looked at in another light, the Barbican has its own sense of beauty. There are over 2000 flats here of different styles, which range in price from around £600 000 for a two bed to £1 million for a three bed. There's a thorough if slightly dull website describing the Barbican's history, written by a resident. I've finished the third day’s judging. So far, it’s been a little easier than I’d expected it to be. I had worried that my palate and teeth wouldn’t stand up well to day after day of tasting 100+ wines, but they have, and I even managed a wine tasting and dinner last night after a full day’s judging. The organization of the Challenge is fantastic. It makes the job of tasting easier when you have a support team who make sure everything is in the right place at the right time. As for the accuracy of the process, I think it’s pretty good. 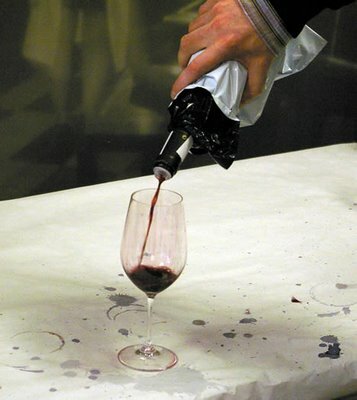 Accurate blind tasting is difficult: it needs a degree of expertise and also good concentration. Most of the tasters I’ve worked with on the challenge so far have been very good, but it only takes one random or variable taster on your panel to make the job of sorting out the medal-winning wines from the rest that much harder. One of the best aspects of working on a competition like this is the chance you get to hang out with other people in the wine trade - at the beginning of the day, in the panels, at lunchtime, and over a Coopers at the end of the day. As well as being an enjoyable social interaction, you do make some useful connections. Today was the first day's judging at the International Wine Challenge, where I'm busy for the next two weeks as a panel chair. It's the world's largest blind tasting competition. which makes 126 wines, which didn't feel like too many. The panel I was on was great, although we lost one to fatigue at lunchtime, and then another was seconded to a separate group in the afternoon. We finished the day with a couple of Coopers, which is a nice touch. I know golf is hideously uncool, but I like it. Each year, I watch the Augusta Masters, which is the first major tournament in the calendar, and because of the time difference is pretty convenient for evening viewing over here in the UK, glass in hand. Even though we've had a family bash here for the last few days, I've managed to see most of the BBC coverage. Tonight it's the final round, and in honour of the third round leader I'm going to be drinking a South African wine - Meerlusts 2003 Rubicon. It's really good stuff. Earlier on I took elder son down to the golf range. He hits the ball really well - I'm hoping that he'll be my ticket to lots of rounds of golf in the next few years, without the guilt of abandoning the family! Fiona's mother is 70, and so we've been hosting an epic of a surprise birthday weekend here chez Goode. Family have flocked to Feltham from the corners of the world (well, Geneva, Devon and Herefordshire, to be more exact) for three days of celebration. We've been accommodating most of the participants, with some overspill booked into the Travelodge over the road. It's been exhausting but great fun. Families are great. I love the way everyone is thrown together - a melange of ages, interests and personality types - and yet it seems to work pretty well most of the time. There's a richness to it. And as generations transition, there's a natural renewing of it all. It doesn't grow stale. 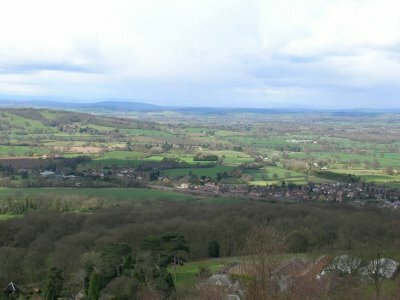 On Friday I drove up to Malvern to pick Fiona's Auntie Moira up. It was a straight run, some 2 h 20 min, and as I arrived early I went for a walk on the Malvern Hills (above), which are always spectacular, even on a rather chilly, overcast spring day. The return journey was not so straightforward though, and took five hours. Ouch. We arrived just after Fiona's mother, and the surprise welcome. The dinner that followed was great fun, and despite a critical mass of kids, there was no nuclear explosion. 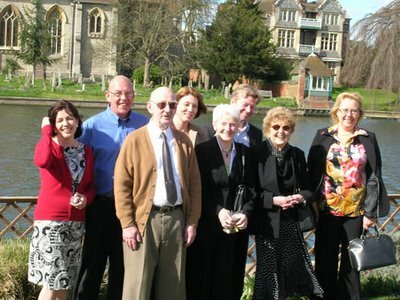 Yesterday, we left all the kids under the watchful care of Hannah, the oldest cousin, and her boyfriend Josh, as we headed off to lunch at Dean Timpson at The Compleat Angler in Marlow (above). It's a stunning setting on the river, sandwiched between the lovely bridge and the weir. The food was really, really good: top quality, with service, presentation and attention to detail of Michelin star standard. I spent some time with the wine list, which has some excellent producers shoulder to shoulder with mediocre ones. In the end I ordered a Vidal Syrah from Hawkes Bay, which was quite elegant and old worldy in style, and a Bordeaux Sauvignon Semillon that was crisp and fresh (and was also the least expensive wine on what is quite an expensive list). I can't help but mention ££££. You expect a top quality joint like this to be expensive, because it costs a lot to do a restaurant really well. But it was the way it was expensive that left me a little disappointed: the menu itself is good value, but all the 'unseen' items, such as water (we were poured eight bottles at £4.80 each), espresso (£4 a single shot) and drinks seem excessive. I'd much prefer it if restaurants put their margins in their food. People look at how much they spend on the total bill when they consider returning; at the prices Timpson charges per head when all these extras are included, he's batting with the big boys, and will end up being judged with more scrutiny. Today is the final day of the epic. Overall, it has been a superb weekend. Now we're trying to persuade Fiona's brother to issue us with an extended invitation for Geneva this summer. Isn't Eurostar great? Such a painless way to travel, especially if you travel business class and make use of the lounges. The move to St Pancras as the London terminal means that Paris is now very close indeed: it's no more difficult to get there than it is to reach, say, Manchester or Leeds. And probably about the same sort of price. We finished our tasting of Loire wines at Sopexa's offices by early afternoon yesterday. We came up with 30 or so wines that we'd selected to be ambassadors of Cabernet Franc, and - though I say it myself - I think we did a great job. 2006 and 2007, the vintages represented, weren't the easiest, but the wines we chose are all really good. The tasting process itself was relatively painless, and we all respected each others' palates enough to make the discussion of each wine's merits a very constructive one. At the end of the tasting, Sam Harrop pulled out a wine that he'd brought along from Domaine de la Chevalerie, a producer whose 2007 wine had made it into the ambassador selection in our tasting. This was a really smart wine from the 2005 vintage, and it was nice to drink it with our late lunch. Today, I've spent the day with the kids and a couple of their cousins in Thorpe Park. It is Chav heaven. If you are a good chav, you go to the great theme park in the sky, where the queues are short and the fast food is supersized at no extra cost. I took some motion sickness pills with me in case I had to go on any of the extreme rides, but fortunately this wasn't necessary. My elder son really, really loves Thorpe Park. Is there any hope for him? I’m currently in Paris, doing some tasting with Sopexa looking at the Cabernet Franc project wines. It’s an exciting initiative that has been going for a couple of years, with a view to helping growers make red Loire wines that appeal to the UK market while still possessing a sense of place. The tasters? Sam Harrop MW, who is providing technical/winemaking help with this project, Sam Caporn, Jim Budd and myself. Today we looked at around 160 wines between us, trying to identify those that could be used as ‘ambassadors’ of Cabernet Franc. 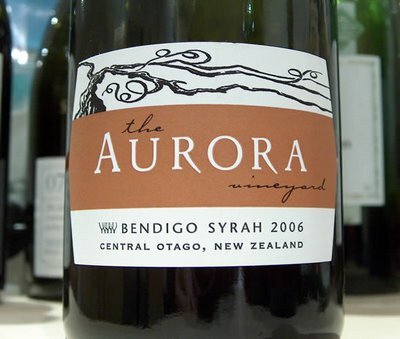 There were some really attractive wines, typically showing focused bright dark fruit and just a bit of grippy tannin. We finished tasting just after 4 pm, and there was time for some wandering. I walked down to Caves Auge on Boulevard Haussmann, which is a remarkable wine shop specializing in natural wines. It’s cluttered and old fashioned, but has a mouthwatering array of things that are hard to find in the UK. I controlled myself and just bought three bottles: Thierry Puzelat’s In Côt We Trust 2005 Touraine, Domaine Richaud Cairanne 2006 and Alain & Julien Guillot’s Mâcon Cruzille Clos des Vignes du Maynes 2006. Two very impressive Australian Rieslings tasted together. I don't drink a lot of Aussie Riesling, and sometimes I admire it more than I enjoy it, but these two worked for me. The Howard Park is fresher, more delicate and a little more focused; the Petaluma has more richness, power and weight. Both are exceptionally good. Remarkable weather. For April. This was the view this morning on my walk with RTL. 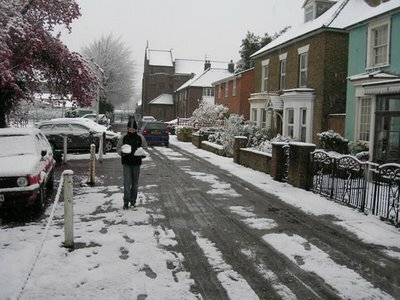 Below is the view outside our house. Sometimes living in England is a bit crap. It's April. Spring should be well underway. But after a lovely day yesterday, today was utterly nasty. 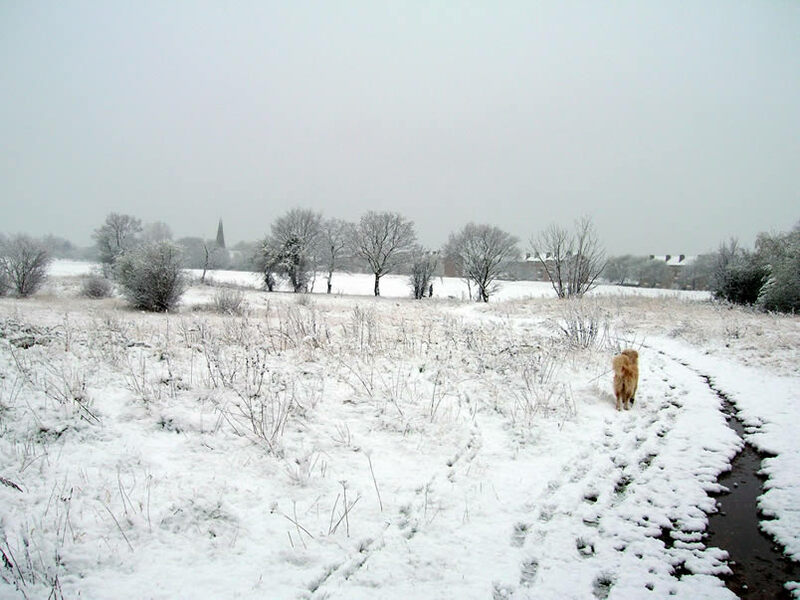 I took older son and RTL for a walk along the river Crane while younger son was playing cricket on Twickenham green, and despite wearing my newly acquired, snazzy Terrazas hunting top (over an Achaval Ferrer polo shirt), I was freezing. This afternoon we went over to Purley for the 40th birthday celebrations of a good friend, Michael, which meant we met up with a whole bunch of chums from when we were first married and living in south London. It was a fantastic event, with sumo wrestling, gladiators and a 'strongest man' competition. This involved various activities such as tossing the caber, welly throwing, and running a course carrying large rocks. The large rocks bit was the toughest test. You had to run to the end of the course and back carrying sequentially heavier rocks. The first and second were quite heavy, but the third was enormous and weighed as much as a small family car. I was in no danger of winning, but I was quite proud to have completed the course - it took about ten minutes to recover afterwards, and I still feel a bit weak now. So, to the serious business of drinking wine. Two Syrahs tonight. Both from the new world. But both with a bit of old world style and freshness. In these days of £1 = Euro 1.25, it's reassuring that the new world isn't just pumping out big, super-ripe, obvious reds. It has been a rather gentle end to the week. Today I visited Denbies, which for a long time has been England's largest winery, in a beautiful setting on the north Downs, near Dorking. I was due there at 1030, but because of excellent traffic arrived almost an hour early, so I went for a wander on Box Hill. It was a beautiful spring morning, with gently warming sunshine filtered through some light cloud cover. 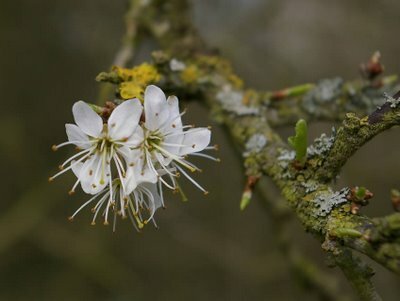 The countryside is slowly wakening after what seems like a very long winter - it's a great time of year. Seemed strange going for a walk without the dog, though. At Denbies, Sam Harrop, John Worontshak and I were meeting with the Denbies team to discuss a potential project. First, we tasted through some of the wines with Marcus Sharp, who heads up the winemaking team. I was really impressed: the Champagne-method sparkling wines were really good, and the varietal series, including Schoenberger, Bacchus, Ortega, Chardonnay and Pinot Noir, were very smart wines. From the evidence of this and other experiences I've had recently, English wine seems to be progressing really well. 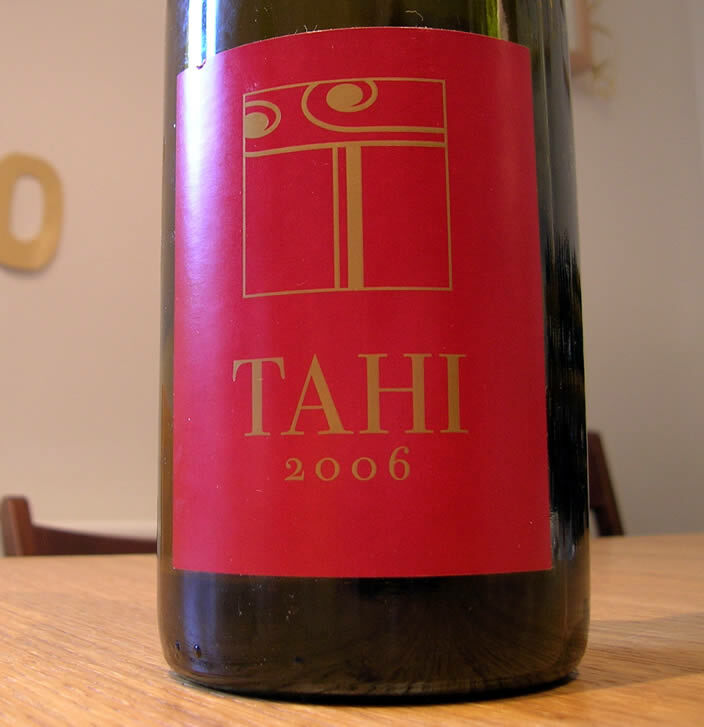 At lunch we tried a 2003 Chardonnay that was really stylish: admittedly, 2003 was a bit of a freak year, but this wine is proof of what can be achieved in our possibly not so marginal climate after all. Pesticides in wine: a problem? The recent press release (here) by Pesticide Action Network (PAN) makes for rather alarming reading. Titled Message in a bottle, it reports the results of tests on 40 bottles of wine purchased within the European Union. ‘European wines systematically contaminated with pesticide residues’, is the conclusion. 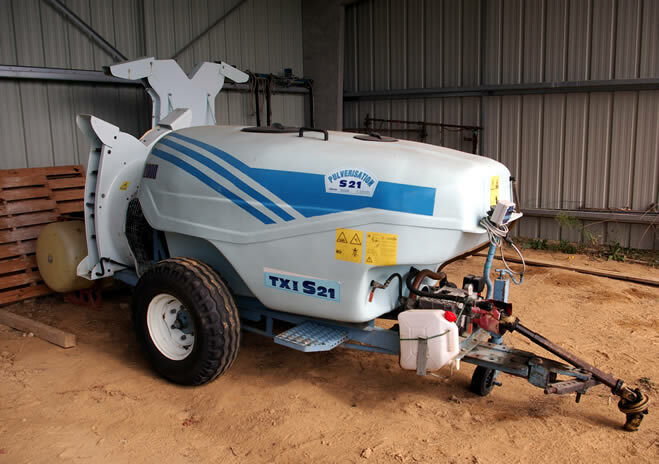 The report comments: ‘Together the 34 bottles of conventional wine contained 148 pesticide residues. All 34 bottles contained at least one pesticide, while the mean number of pesticides per bottle was more than four. The highest number of residues found in a single bottle was 10.’ Does this mean wine drinkers are in danger, and that there is a systematic failure by regulatory bodies to do the appropriate monitoring? Very nice to see a picture of HRH Jancis and Emperor Bob together - it was taken by Julia Harding this week at the Bordeaux Primeurs, where the two leading critics were sharing a hotel. It seems the oft-mentioned 'feud' between them is merely driven by media hype, and that it is possible for critics to disagree without hating each other. What next? 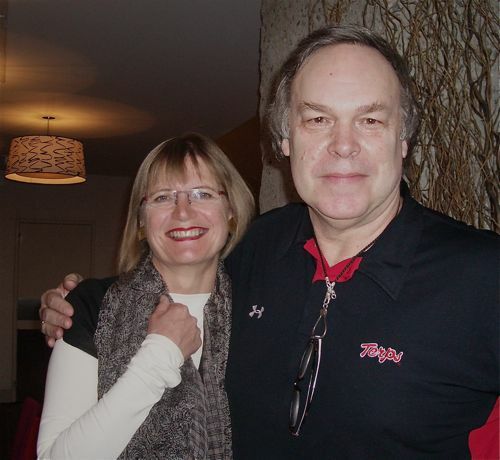 Will we see a picture of Michael Broadbent arm in arm with Serena Sutcliffe? Just a brief video introduction showing you what Marlborough looks like, taken from my visit there last November. Priceless post on Decanter.com. Stroke of genius for Adam to pick Javier Bardem, who was fantastically menacing in No Country for old men.